Seven-year-old Tony Bruno is an outcast among his peers. Bullied by his classmates and rejected by his father, Tony is lonely and desperate. Tired of being bullied, Tony strikes back. In one act of blind courage, he shifts the balance of power. When Tony becomes a teenager, a new kid named Salvatore Morano transfers to his school and becomes the object of ridicule. Tony feels compelled to help the new kid. He has no idea who Salvatore is and what it means to be his friend. Soon Tony is sought out by Salvatore's father, Johnny Morano, the godfather of the Philadelphia Mafia, to help protect his son. Tony, who has admired the Italian mob from a distance, has always been fascinated by the Mafia's power. He quickly learns that with power comes sacrifice. Tony will be forced to draw upon strength from deep within to survive his new, unwanted life. From the dark corners of his new world, Tony is driven to emerge from the fires of hell to find happiness. 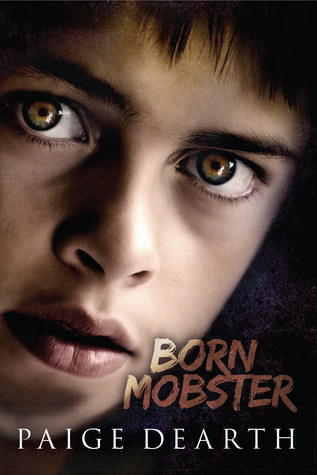 Born Mobster is a haunting story of one bullied child who is deprived of love and taunted by corrupt individuals along his journey. Follow Tony through his rite of passage and experience the brutalities, murders, love, and honor that finally force Tony to become the man he was born to be. I don't know about being a BORN MOBSTER but life has certainly forced Tony down that path. From a young child, Tony faced bullying at school and abuse at home. Even so, he was still a child that could experience love. It wasn't until he went to Juvie to save a friend that he experienced the true depravity that adults can drop too. Even after reading this story, I can't say whether or not I enjoyed it. It kept me reading but it is far from a comfortable story. Tony is a strong individual and I wish that I could say that his experiences were unusual but they really weren't. Life can be hell for some children and it amazes me that we don't have more BORN MOBSTERs among us. I wasn't really happy about the ending as it pretty much concludes Tony's story and then tells the reader that another book about Tony is coming out. 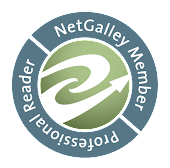 I do think that my readers who enjoy reading biography style books might enjoy Tony's story.